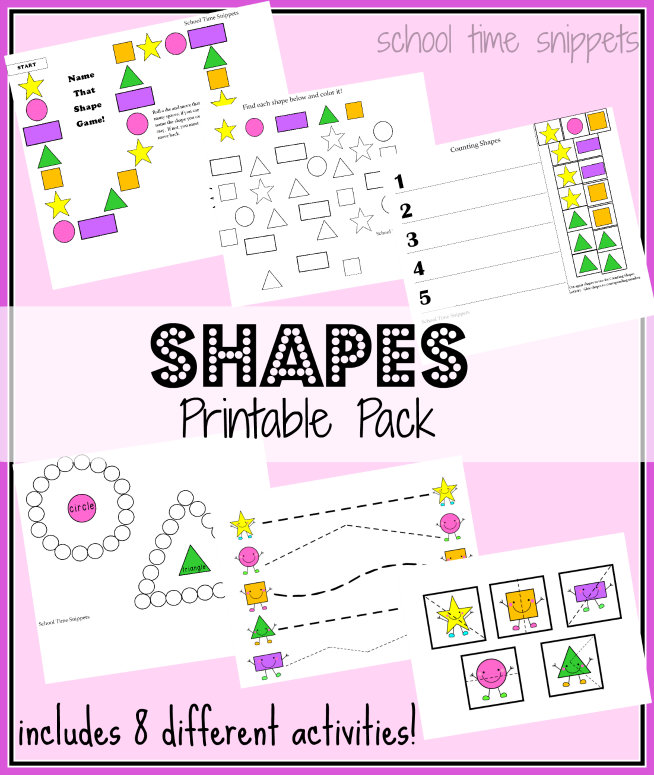 Free Shapes Printable Pack: Includes 8 Different Activities! Looking for some cute and fun and FREE printables to teach and reinforce shapes to your toddler and/or preschooler? Simply download our latest and first SHAPES Printable Pack containing eight different activities reinforcing simple shapes- circle, square, star, rectangle, and triangle. Shape puzzles: Laminate and cut for your child to piece back together OR use the activity to have your little one practice cutting! Download your Shapes Pack HERE! Enjoy! !